Expired 1y ago . Last validated 1y ago . Used 81 times. 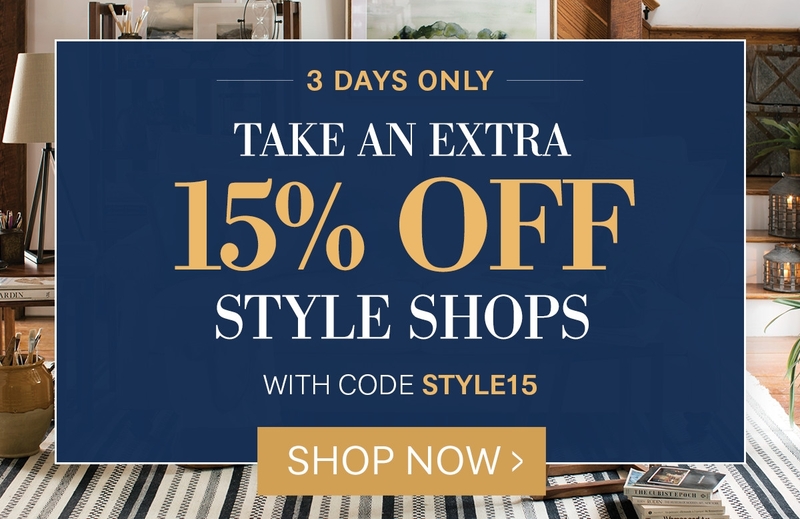 CESAR ROSAS Use code STYLE15 to get 15% Off Signature Styles + Free Shipping on Orders Over $49 at Birch Lane. This is a limited time offer. Levy José Muñoz Macho I am validating this deal. 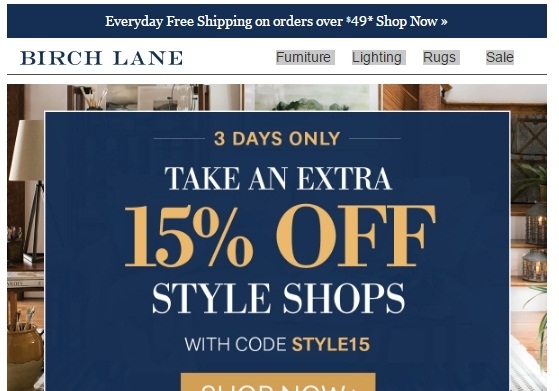 Promo code is active and works as described. 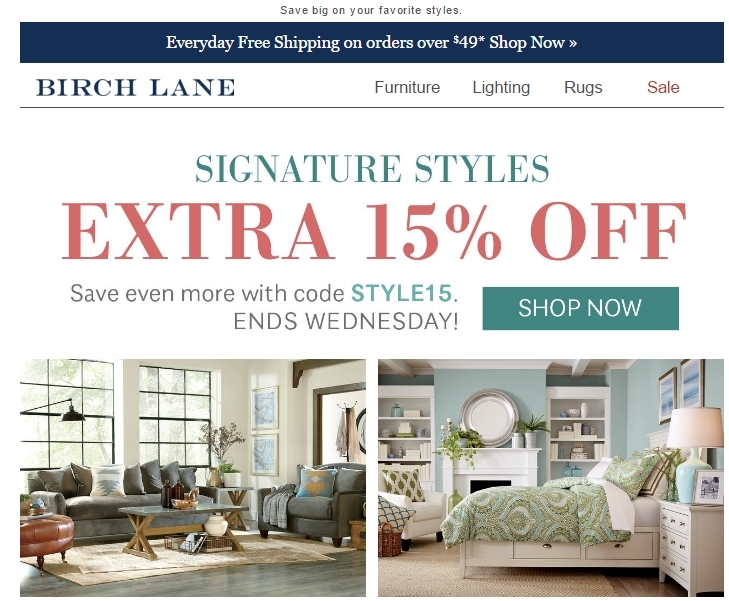 Get Extra 15% Off Signature Styles + Free Shipping on Orders Over $49 at Birch Lane. Offer ends 6/14/17. Free shipping applies to all orders, no minimum purchase required. Some exclusions apply. We may modify or discontinue this promotion at any time in our sole discretion. Not valid on orders shipping to AK, HI, or Canada or Puerto Rico. 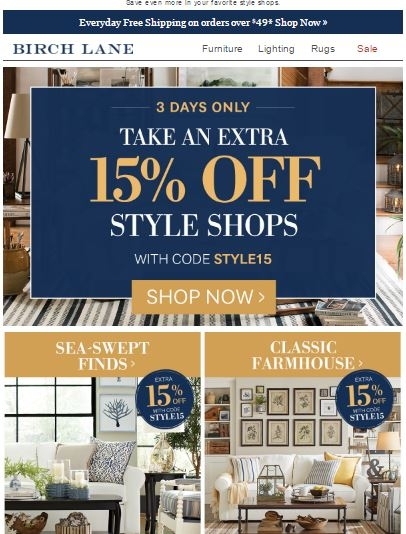 jose chirinos rivas "i am validating that this promo code worked out correctly just add to basket and click on promo code so you could add the code"
JANETSY LETTERNI I am validating that this deal works as described. 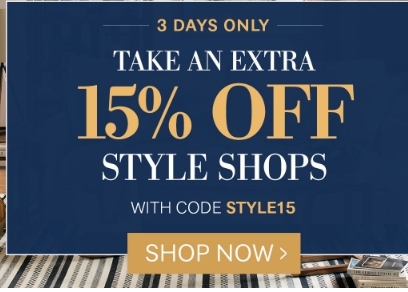 Enter code at checkout and get discount. 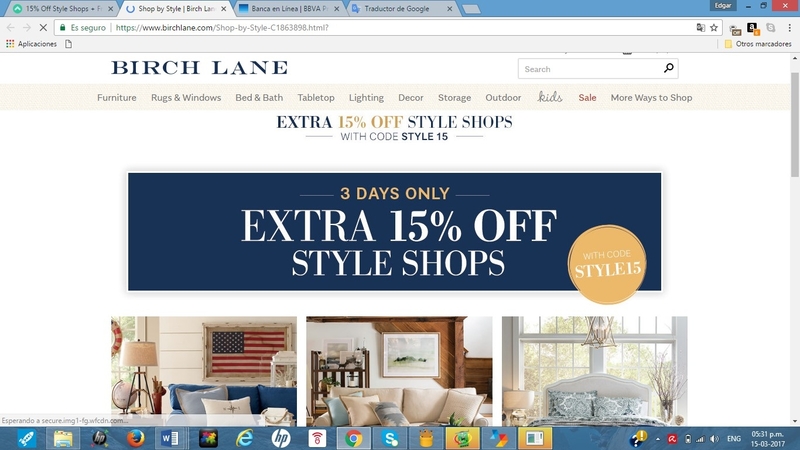 Use the "Redeem Offer" button to activate the coupon. • Finish up shopping, checkout. •Look for the promo code box and enter the code. • Your discount will be applied • Add this in the promo code box at checkout when shopping online. Emma *Free shipping applies to all orders, no minimum purchase required. Some exclusions apply. We may modify or discontinue this promotion at any time in our sole discretion. Not valid on orders shipping to AK, HI, or Canada or Puerto Rico. 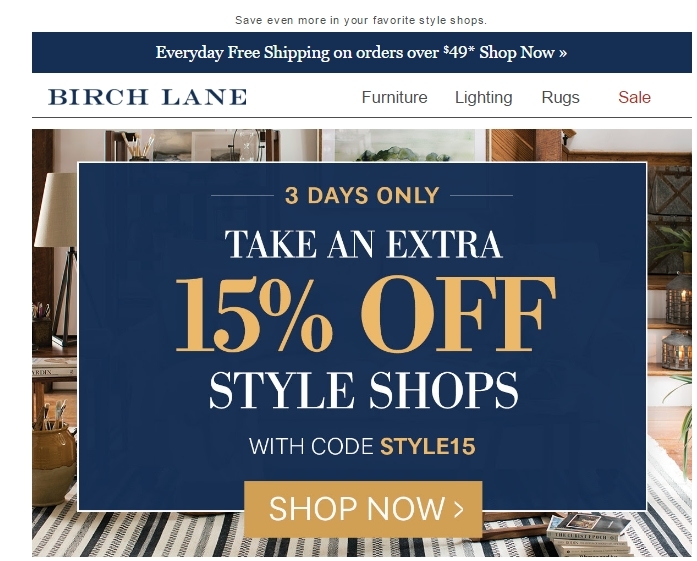 Laura DeLuca Simpy enter this code during the checkout process to apply this discount. There may be some exclusion that apply.